The City Commission is looking at a forward thinking proposal designed to stave off traffic jams, promote transportation equity and connect us to more places and prosperity. The traffic congestion choking rival cities like Austin, Texas is no problem here in uber-accessible Grand Rapids. We cherish and celebrate the "get anywhere in 20-30 minutes" fact of West Michigan living. Our opportunity and responsibility to future generations is to preserve the advantage as long as possible. Next week, if last month’s staff budget recommendation holds, the City Commission will approve a forward thinking proposal to help do just that. The idea is to evolve the “Parking Services Department,” which has historically singularly focused on providing cheap car parking spaces, into the “Mobile GR System.” The new mission? Actively facilitate more services and choices to get people where they’re going. 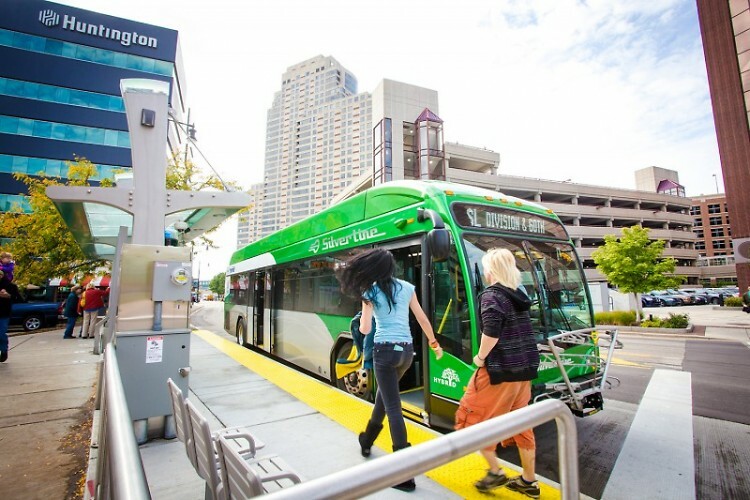 If approved, Commissioners and staff will wisely strengthen the City’s resolve to stave off traffic jams, promote transportation equity and connect more Grand Rapidians to more places and prosperity. The time is right. And now. The secret is out: Grand Rapids is an affordable place to live with a high quality of life and, according to Forbes, one of the fastest growing metro economies in the nation. The City already anchors a region of more than 1.5 million people and the population continues to grow. The Downtown neighborhood, for example, experienced a 188 percent increase in households since 2000. The goal is to attract another 5,000 households by 2026. More jobs and people are inevitable. So is more and more car traffic, especially if everyone’s best or only option is to drive. 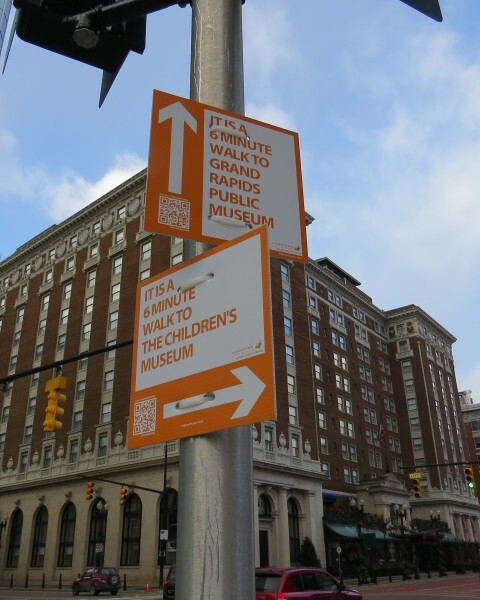 That’s the lesson learned from cities growing ahead of Grand Rapids. The metropolitan area of Austin, Texas, the 35th largest metro in the nation, is one example. The jobs and people continue to flock faster than the city’s sluggish ability to think outside the automobile box and serve the booming demand for more travel options. As one result, the average commuter now annually wastes the equivalent of one week’s vacation stuck in traffic and the mayor recently declared congestion in Austin is worse than New York City. The story is much different in cities that proactively support growth with new transportation thinking and solutions. Consider Minneapolis, the 16th largest metro in the nation. The region continues to experience steady population growth and is on pace to add some 640,000 people in the next 15 years. Unlike Austin, however, Minneapolis leaders choose early on to keep ahead of rising transportation demand by diversifying their portfolio of services and choices. Uniquely, they seriously invested in new rail and rapid transit lines. But just as importantly they proactively applied new policies and strategies to support the infrastructure investments and drive more efficiency across the entire transportation system. Minneapolis, among other things, coordinated park-and-ride lots on the edge of the city with transit and carpool service. They deployed a public bike share system as another option to meet the demand for short inner city trips. City leaders also relaxed the amount of parking government requires in new developments as another way to keep automobile congestion at bay. Like any successful city, Minneapolis still manages traffic snarls. But the metro enjoys relatively less severe congestion than Austin while counting 1.5 million more people. TomTom Traffic Index shows this comparison well. Grand Rapids will position itself to avoid Austin’s hassles and follow Minneapolis’ lead if City leaders approve the proposal to transform the Parking Department into MobileGR. The reconstituted organization, based on recommendations flowing out of the Michigan Street Corridor study and the emerging GR Forward strategy, aims to play a leading role in supporting GR’s ongoing evolution from a city where the car is the only practical option to a place that provides an array of choices for getting around. Adopting a "Parking and Transportation Demand Management Ordinance" to improve urban mobility through new development. Deploying a car share service for people who have the occasional need to hop in the car and go longer distances. Deploying a bike share service for people traveling short distances around the urban core neighborhoods. Pricing valuable public parking properly to manage the growing competition for space and maintain certainty for customers. Expanding the public parking supply where it makes sense. 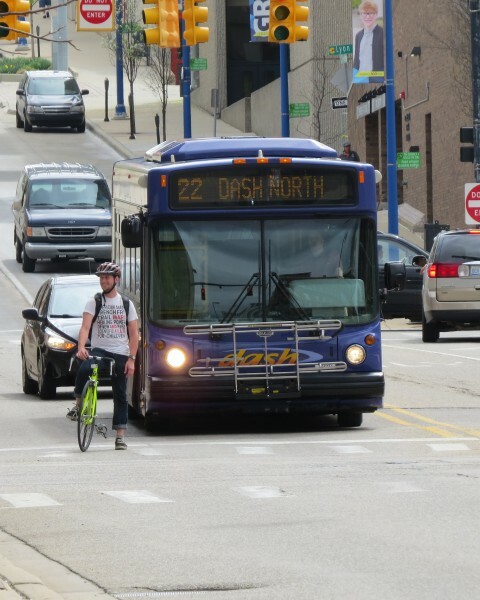 Rebooting the Downtown Area Shuttle (DASH) service to function as a proper urban circulator and more easily connect, say, the Spectrum employee to the Downtown Market for lunch. Developing incentive programs to encourage willing people to choose walking, biking and transit. Taken together – and coupled closely with the ongoing expansion of the regional Rapid transit system – these and other common sense strategies will strengthen the ability of the city’s transportation system to meet growing mobility demands and keep Grand Rapidians moving. In addition to holding off serious traffic congestion, these solutions bring real potential to support greater economic growth and equity, particularly on the talent retention and attraction front. The American Institute for Economic Research recently ranked the American cities most attractive to college graduates based on a series of factors. The top three were a high density of people with a college degree, a low unemployment rate and the ability to get around without a car. What’s more, MobileGR promises to better serve citizens who aren’t able or privileged enough to drive. Fully one-third of Americans don’t or can’t drive, including kids under the legal driving age, about one-fifth of older adults, people with disabilities and households that can’t afford a car. More options will help connect these people locally to school, jobs and social events. To be certain, Grand Rapids will see more cars on the streets in the future. That’s why the proposed MobileGR System is one of those unusual cases where pragmatic urbanists and suburbanites agree. Urbanists believe more initiatives to expand mobility choices and freedom enhance the city’s quality of life. Suburbanites want short easy commutes and the best parking possible. And every person walking, biking or on the bus is one less car competing for space on the streets and in the garages.